If you're interested in plants and biology, a few bean seeds can form the basis of lots of fun science experiments. It's exciting to watch bean seeds sprout and turn into plants. 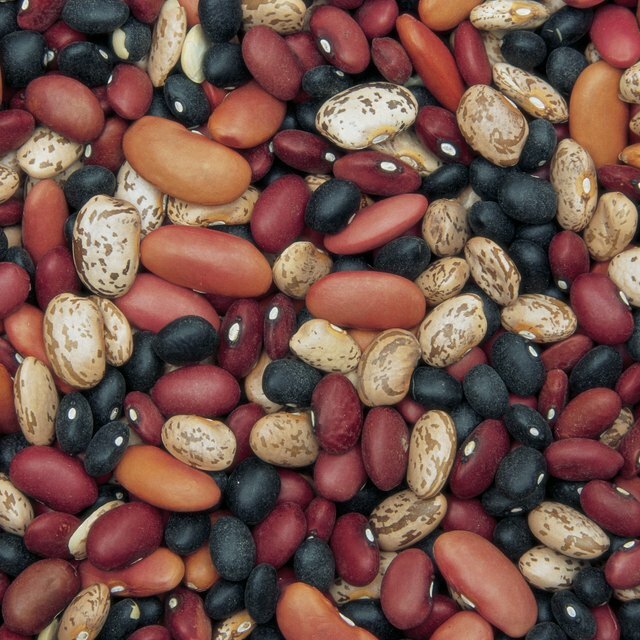 If you don't have bean seeds in your pantry, buy them from your local garden store or supermarket. Most types of dried bean seeds are suitable for science experiments such as growing beans in a bag, testing germination rate and working out what factors affect bean seed growth. If you want quick results, go for fast sprouters like lima beans, pinto beans and mung beans. Growing beans in a bag is a great first lesson in plant biology. You can check the the progress of your seeds every day and witness them transforming into plants with roots on a stem. You need a plastic zip-top bag, a paper towel and a few bean seeds. For this experiment, any variety of dried bean from your pantry will do, but lima beans, pinto beans, mung beans and lentil beans typically sprout the fastest. With a variation on the basic zip-top bag experiment, you can test the germination rate of 10 bean seeds. Use a black permanent marker to draw a frame with 10 sections on the bag. Place a moistened paper towel inside the bag, and then place one bean seed in each section of the frame. Make sure you place the bag on a flat surface (in a sunny area) to keep the seeds in place in the frame. Predict how many of the bean seeds will germinate, and then check your prediction after the seeds have germinated. Multiply the number of germinated seeds by 10 to work out the germination rate as a percentage. For example, if six seeds germinated, that's 60 percent of the 10 seeds in the bag. It doesn't really matter what type of bean seed you use for this experiment, but larger seeds like lima beans are better for younger children's smaller fingers to grasp hold of. A more advanced experiment than growing beans in a bag looks at how different factors affect how a seed sprouts and grows roots. To find out whether seeds grow quicker in soil, put three to four dried bean seeds inside a zip-top bag with a paper towel. Plant another three to four dried bean seeds in a plastic cup filled three-quarters full with potting soil. Place the bag and the cup where they will receive sunlight during the day and monitor their progress. Mung beans are a good choice for this experiment because they are small seeds and can grow in compact places. For variations of the soil experiment, use different amounts of water, sunlight and fertilizer to observe how these factors affect plant growth. Gillespie, Claire. "What Type of Bean Seeds to Use for a Science Experiment." Sciencing, https://sciencing.com/type-seeds-use-science-experiment-7915838.html. 14 May 2018.